International research at iPL spans most continents and projects have involved groups from the United States, China, Canada, Brazil, Europe, India, UK and more. 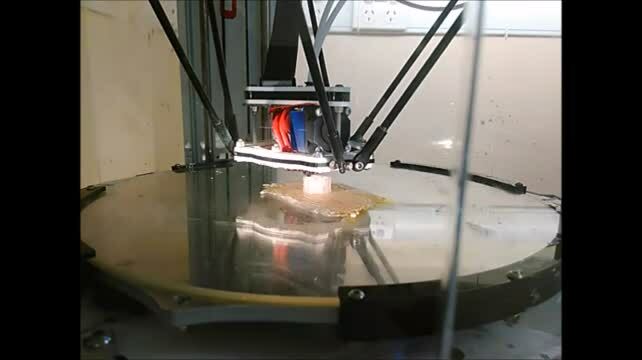 3D printing the world's first step index preform for optical fibre drawing. (Video: Arafat Hossain, Matthew Saide Rahme; Original Music Johnny "Photonic Guitar Man" Russell. All rights reserved). The interdisciplinary Photonics Laboratories are a key focal point for cross disciplinary activity between scientists, intellectuals and researchers of all persuasions utilising photonics and nanotechnology in new ways for new applications. Spanning materials, devices and applications iPL has recently been focusing on all aspects of novel sensing, from exploiting surface waves and quantised phenomena, through optical fibre based sensing to utilising smart devices and smartphones and new diagnostics including internet enabled. A local and international network ensures cross disciplinary activity between researchers, end users and intellectuals of all persuasions and backgrounds in academia and industry utilising photonics and nanotechnology in new ways to further both understanding and create new applications. Potential students and fellows are encouraged to apply for competitive funding to help select the most outstanding talent. With ties to several Universities, a range of options are possible – please visit UTS and other partner institution sites. For example, UNSW currently offers terrific Scientia PhD scholarships and iPL encourages applications through joint projects with our colleagues there. International talent from reputable organisations is welcome – several Masters interns a year are funded by their home institutions to spend a few months at iPL. Alternatively, most nations have funding opportunities with Australian groups and we encourage applications towards competitive schemes such as the Australia Awards, ARC international fellowships and more. A joint network of collaborating institutions, with support from Australian Research Council funding, has led to the commissioning of a custom-designed National Fibre Facility for the advanced fabrication of silica optical fibres, conventional and structured, at the University of New South Wales More. Recent innovations include ultra broadband luminescent Bi/Er co-doped optical fibres and other Er fibres used in record breaking demonstrations of few mode communications. International round is currently closed.